Necromancers love to party, but their given profession usually puts people off and leaves the guest lists for their parties sorely lacking. Never fear though! As a crafty necromancer, any graveyard can suddenly become a swinging shindig with the correct application of a little magic. 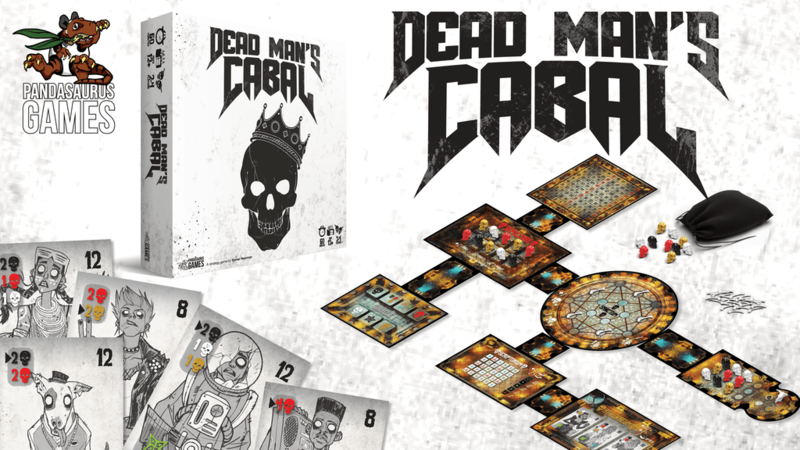 Dead Man’s Cabal is played out over a series of phases that players can take in the order of their own choosing. These phases break down a more complex game into bite-sized pieces that speed up decision making and keep things moving and grooving. 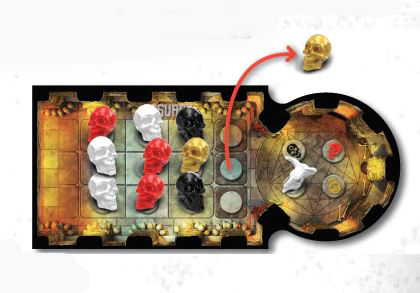 The game uses a unique system of blind-drawing skulls (action tokens) out of a bag and then placing them in one of the 3 rows in your ossuary. Each skull placed slides the previous skulls over until they fall into your supply and are ready to use. You’ll need to plan ahead as you place to make sure the skulls you need free up at the best possible moment. I absolutely love the theme and the art is fantabulously ghoulish. Get invited to the Dead Man’s Cabal by visiting the Kickstarter campaign here. A friend of mine is currently visiting a national park as I write this and I am totally jealous. 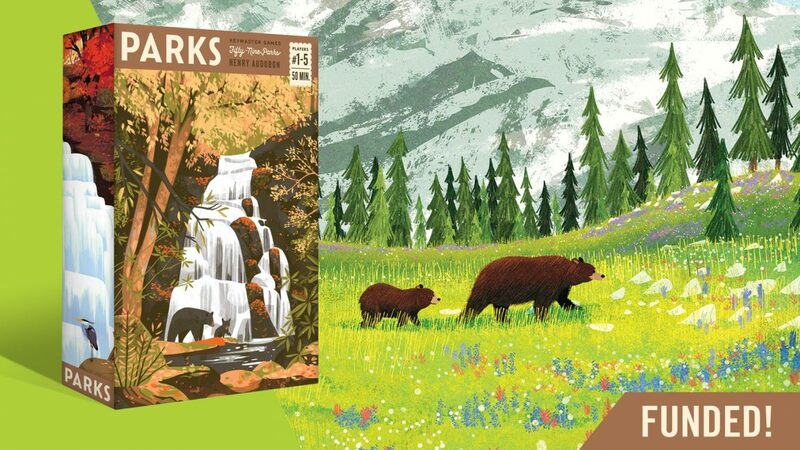 Parks: The Board Game captures the natural glory of these protected wildernesses. 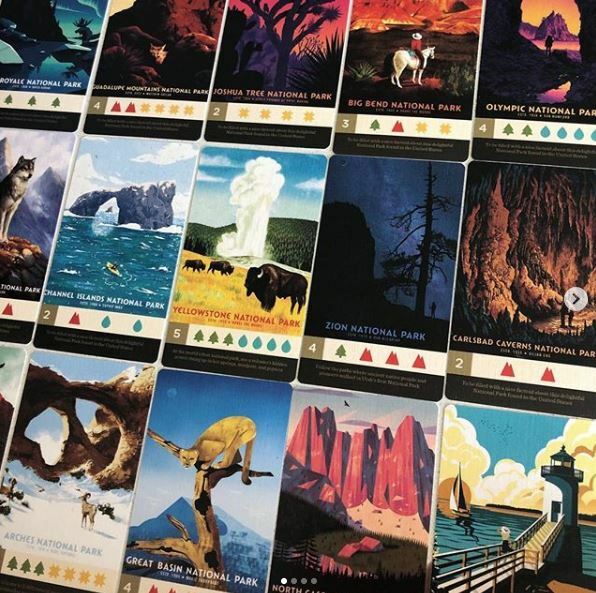 In the game, players take control of two hikers each and guide them through a journey through the four seasons of the year and across the stunningly illustrated national parks. While you hike, you’ll collect resources which can be traded in for Park Cards and gear which will make your travels more efficient. Whoever manages to collect the most Park Cards and photos at the end of the year wins. I delight in games that have a certain kind of peacefulness to them; the ones that place the player in spaces that let you relax and wonder at the world around you. Parks has shot straight onto “I WANT IT NOW” list. If you want to know more about this gorgeous game, check out Parks: The Board Game on Kickstarter here. It’s the time of year when your favorite review sites are figuring out how they will fund another year of awesome content. 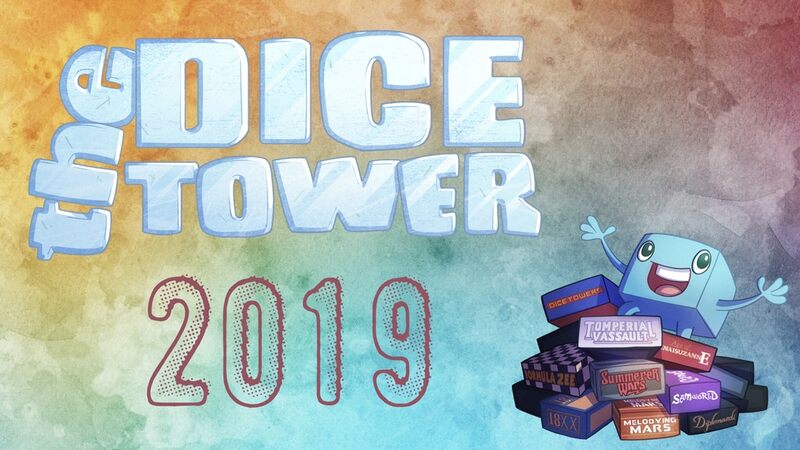 Right now The Dice Tower is running a campaign that will help them with costs and, if they meat their goals, create new shows, guarantee appearances at conventions, and increase the quality of their videos. The Dice Tower makes great content and its always nice to give back to the creators you enjoy watching. Head on over to their campaign and consider backing today, for your donation you’ll get fun items like meeples, scenarios for games, dice towers and more. Visit The Dice Tower Kickstarter campaign here. Andrew ran into this Kickstarter quite randomly, and was immediately drawn in by the minimalist aesthetic, and stayed for the multi-use card drafting and resource management gameplay. In Kepler Run, each player is trying to earn victory points for fulfilling contracts, and to do so they will build up their own spaceships and race them across the stars. 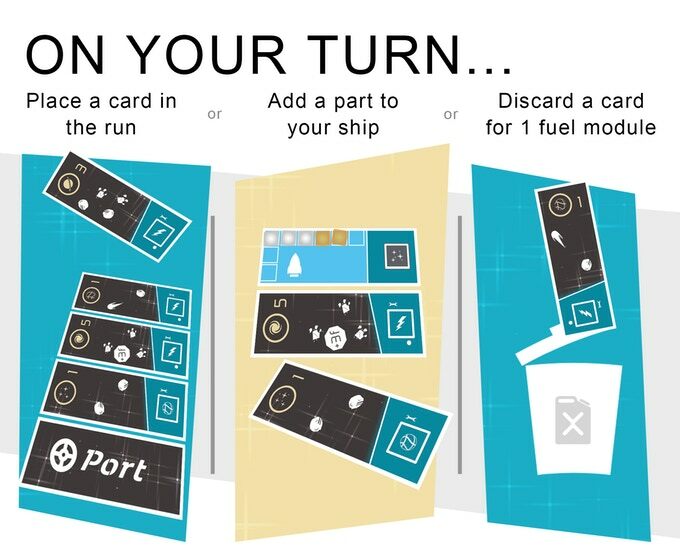 Each round features card drafting, where players will have to decide how to spend what they draw – either added to their ship, added to the run, or discarded as fuel, and at the end of the round all players will attempt a run to fulfill a contract and earn points. 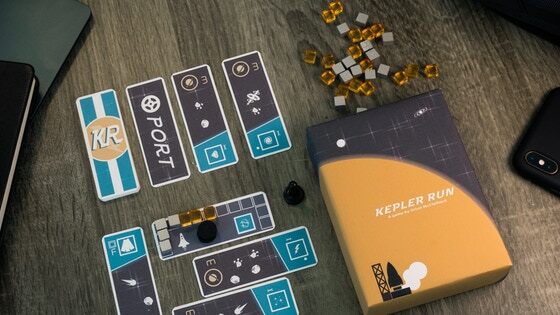 Kepler Run looks like it will be a fun, engaging filler, and the aesthetic is fantastic! We did a preview of The Shipwreck Arcana as well as a Game in a Minute, and this cooperative deduction game remains one of the hidden gems of our collection. 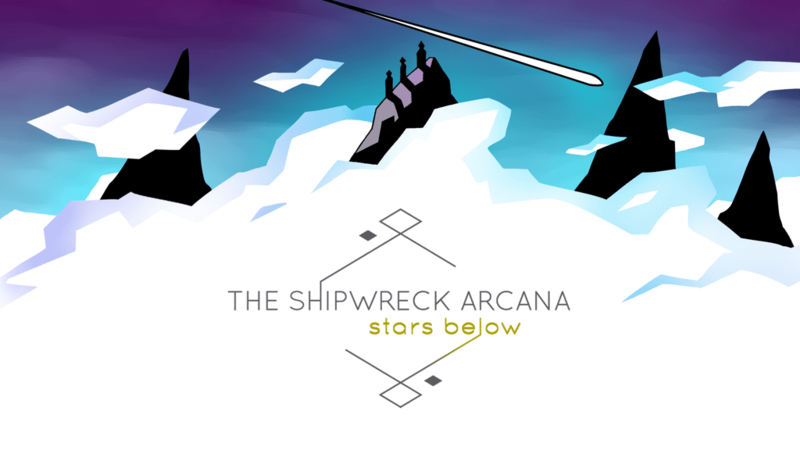 Now, Meromorph Games is expanding the original in The Shipwreck Arcana: Stars Below! This mini expansion adds new arcana which introduce mandatory effects – ongoing rules that will change up the way the game is played as long as that card is still around. As with the original, the art in Stars Below is simply stunning, and we can’t wait to see how these new rules shake up this already challenging game! Best of all, this Kickstarter is an opportunity to pick up not only the original game but also all the promo cards which have been released since the Kickstarter!